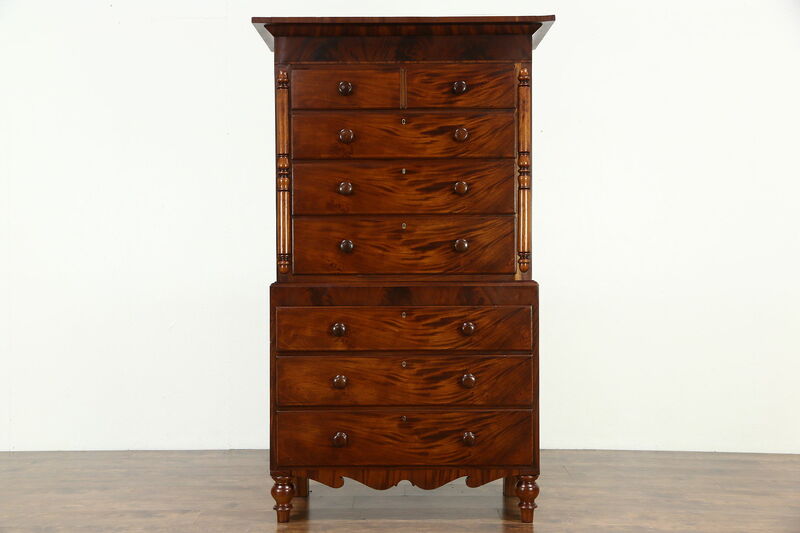 An imposing highboy or tall chest on chest was hand crafted in Scotland about 1860. The restored finish is excellent, flattering the dramatic shimmering grain. Large drawers have hand cut dovetail joints on this boldly scaled antique furniture. There are various warps and twists from age and the drawers do not fit exactly on this historic tall dresser, see photos. The upper piece is separate for easier transport. Measurements are 48" wide at the crown, 22 1/2" deep and 82" tall.